While the Hazelwood plant had a Nameplate of 1600MW originally, its old age meant that it could no longer generate that level of power, but after 53 years it was astonishing that this ancient plant could still actually manage 86% of that original total, and that was 1380MW at its maximum with all 8 Units in operation. Across the whole 31 days immediately prior to its closure, the plant averaged a daily power generation of 1306MW, which gave the plant an effective Capacity Factor of 95% for that Month. However when compared to just the wind plants in Victoria, the result was even more startling. There are currently 15 of those wind plants, and the oldest of them is the Challicum Hills Wind Plant, now only 14 years old. The total Nameplate for all those wind plants just in the State of Victoria is 1485MW, so there are around 850 of those turbines on poles around the State. That 1485MW nameplate is higher than the 1380MW (the recent maximum) of Hazelwood. Yet, across those same 31 days in the lead up to the closure of Hazelwood, the average daily generation from all those 15 wind plants with 850 individual generators only came in at only 359MW, and that is just a tiny bit more than what was being generated from just TWO of the ancient Hazelwood’s 8 Units, an astonishing fact. Here you have 850 wind turbines and they can only generate as much power as two 53 year old generators. 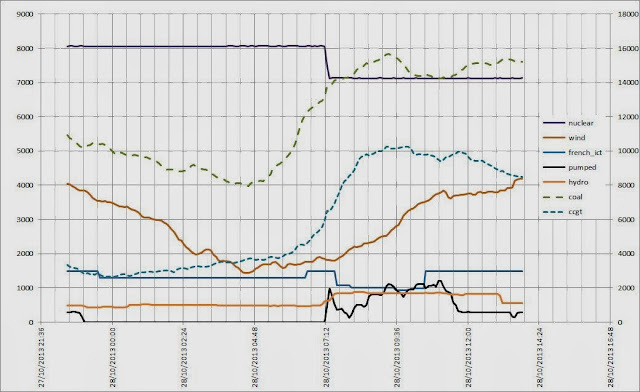 However, when you say that the AVERAGE daily power from those wind plants was only 359MW per day, that is a straight line average across those 24 hours, where the power being generated is up and down across the whole day, so it is averaged to that amount. So then, what does that mean, and can it be directly compared with an equal amount of Nameplate to show you how the wind power is variable, or intermittent? For the next Eurosong contest the UK entry will be sponsored by the UK Govt. It will be “There’s a wind turbine in my garden”. And NOTE the 30% average annual capacity factor compared with the on-shore average in the UK varying between 21-27%. And the Premier of Victoria is muttering about shutting down Loy Yang. For some reason he is referred to frquently as Dopey Dan. Dopey Dan, could also be referred to as Mullah Dan. When is wind power going to be ‘reliable’? An adequate system always has had back-up in the form of reserve generating plants, not feeble batteries that can only store a small amount of power, never produce anything. Wind power has mainly got away with it so far by reverting to the old-fashioned fuel burning back-up systems when it’s not windy. South Australia shut most of them down so has to resort to imports and a single battery to avoid total failure. At maximum load on the grid that battery can supply power for less than 2 minutes which is not long enough for the emergency generators to start and synchronise. That, of course, begs the question of how many well stuffed (with taxpayer’s money) brown envelopes were handed out to get that contract. The unreliables will never be able to replace conventional coal, gas or nuclear fired power stations in capacity per unit area, constant output 24/7/365, working life and reliability. There isn’t one wind farm, solar farm or other renewable form of power generation that can compete on the open market without government intervention – direct subsidies, taxes on conventional generators, preferential treatment for output (the grid must buy renewable energy first) and so on. Take that away and they would shut up shop overnight. I hope you are not suggesting that thermal stations do not require backup? the failure was when a thermal station went off grid unexpectedly (no warning and instant loss of capacity) – you need to run rapid start units elsewhere in order to cater for this eventuality possibly 500MW, when a wind turbine goes down you are looking at 7MW instant loss at most.much easier to backup. No one claims that backup is not needed for days when the wind dies, some can be provided from other wind generators where wind is still blowing but until the wind farms are sufficiently geographically separated and interconnected you will always need conventional back up. Plans for a £100m gas-fired power plant in Swansea, Wales, are to be the subject of a public consultation exercise in February. The Abergilli Power plant will be a 299 MW open cycle rapid response power station, with the capability of powering 150,000 homes. The plant is proposed by Abergilli Power, a subsidiary of Drax Power and would create 150 new jobs, 15 permanent, while taking two years to construct. As a rapid response and flexible power station it would not be operational all the time – it would be producing power for up to a maximum of 2,250 hours in a given year. Wind power can’t be backed up by wind power. Ford, you’ve given us a link to a document talking about 27th of May 2008. I assume you meant to link to something to back up your graphic concerning the events in October 2013. I’d be interested in more info. The 2008 blackout was caused by the more or less simultaneous failure of Sizewell B (nuke) and Longannet (coal) at opposite ends of the country.That doesn’t happen every day! Anyway, that’s 2 failures in nearly 10 years, only one of which caused a widespread blackout – and that was for 40 minutes according to the quote on the BBC http://news.bbc.co.uk/1/hi/england/7423169.stm. We’ve 15 reactors rated at just under 9GW. Output never fell below 6GW for the whole quarter. Not once. Wind output (rated 15+GW in 2016, and there was more of it by 2017) varied from 0.26GW to 8.2GW. But the wind doesn’t blow everywhere all the time, so let’s take 8GW as a working max and see how often it was above 2/3 of that? About 25%. It wasn’t even above 1GW for nearly 8% of the period. Info from my analysis of BM Reports. I notice Ford is adept at putting up straw men and naturally arguing against his own assertions. No one was stating that thermal plants don’t require backup. Any system delivering essential power does. It’s the reliability of the backup that matters and wind power cannot back itself up reliably. The Elon Musk battery is another case of the “Emperor’s clothes”, it isn’t really effective but no one will admit it. Ford, be very careful when you build straw men, they are likely to catch fire and burn you. No way did I imply that base load thermal power stations didn’t need backup – everything that supplies essential services require that besides that is standard engineering practice. Your pretty picture is rather meaningless because you don’t explain it therefore it can be dismissed. To get a real picture of what power is generated in the UK go to http://www.gridwatch.templar.co.uk/ There you get real time data as well as historic figures for comparison. Unfortunately while this is actual production it is very heavily distorted by government dictat, green taxes and subsidies to the unreliables industry. Irregular and unpredictable wind and solar power is increasingly becoming a problem for Germany’s power grid. Utility company Tennet TSO spent almost a billion euros last year on emergency interventions to stabilize the national grid. The reason for the increase in emergency interventions is the rising number of solar projects and wind turbines in Germany. The share of renewable energy increased from 29 to 33 percent of the electricity supply last year. Wind and solar power are irregular and often unpredictable. This makes the network increasingly unstable. Supplied and the demanded electricity must always match – otherwise it comes to blackouts. That’s not Germany’s total bill, just one large company. At some point there must come an ‘instability limit’ when emergency resources can’t meet the demand any more. Musk was successful in installing the Powerwall under 100 days. So the question: is it really delivering reliability? Following Tesla’s successful deployment of the world’s largest battery in South Australia, carrying out CEO Elon Musk’s 100-day target to install a grid-scale Powerpack battery unit, or the system would be free, another state in the land down under has lined up as Tesla Energy’s next customer. As noted in a recent report from the Sydney Morning Herald, Victoria has joined South Australia in its push towards a large-scale renewable energy system. Tesla’s South Australia Powerpack facility currently stands as the largest lithium-ion battery of its kind on the planet. Powered by clean energy from Neoen’s Hornsdale Wind Farm near Jamestown, the mammoth 100 MW/129 MWh battery is capable of powering up to 30,000 homes during blackout periods. According to the Australian Energy Market Operator (AEMO), the Powerpack system in SA has already proven itself multiple times since it was completed, providing ample backup power and other grid services hundreds of times in December 2017 alone. 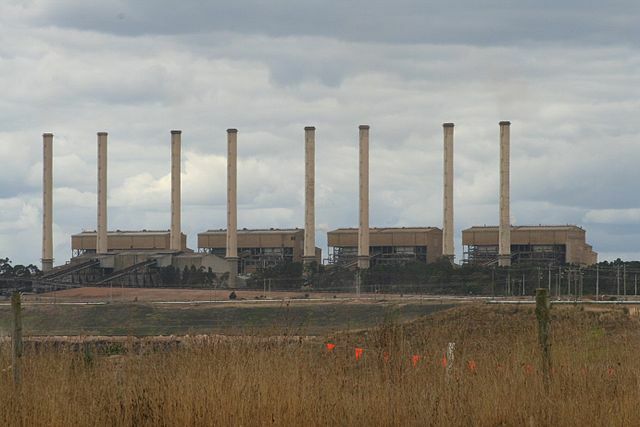 More notably, Tesla’s energy system recently supplied emergency power to one of Australia’s biggest coal-fired power stations after it experienced an unexpected loss of power on December 14. Is the real issue to the politicians that there wasn’t blackout hundreds of times giving them further embarrassment OR what people really to know, does this Powerwall absorb all the power spikes from the wind generators during gusts which in turn stabilizes the power grid? AND did this Powerwall reduce the price of electricity by stabilizing the output from the wind generators???? BLANKET CLAIMS—RARELY ARE CORRECT WITH AN AGENDA! EXCELLENT COMPARISON—THANKS FOR SHARING IT!